Hooks are super-important in Copywriting because they guide your users to take action. A great hook compells the reader to keep moving forward in your funnel. 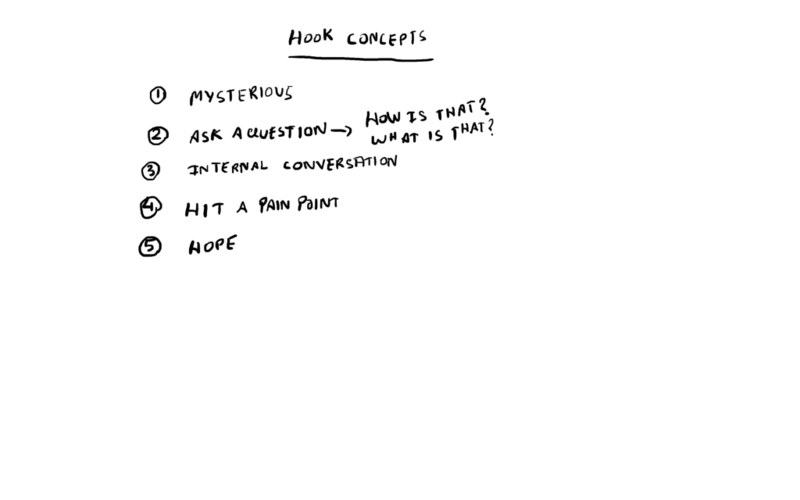 In today’s “15-Minute Sprint”, I explained some important elements of hooks for copywriting and also explained the hook that I will be using in my brand new Email Business. If your hook ain’t mysterious enough, the reader won’t be engaged and they will definitely not take action. Adding a little bit of mystery to your copy makes the reader read more. The hook needs to make the reader stop and think. Make him/her have an internal conversation with themselves even if just for a second. Figure out a pain point. This is why I recommend selecting a niche that you are passionate about. Because if you’re passionate about a niche – you’re probably invested enough in that niche to know the pain points already. A little hope can go a long way in making the reader take action and engage with what you have to offer. Russell Brunson made funnel hacking popular – so you probably already know the basics. 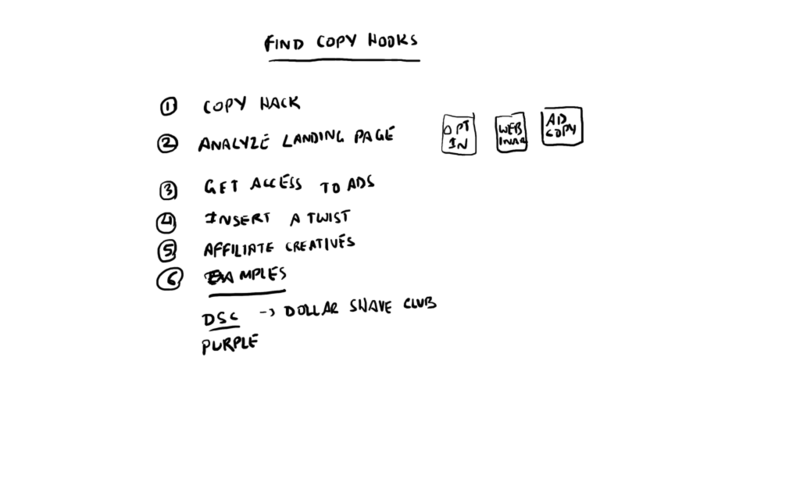 All you need to do is copy hack and try to figure out WHAT are the hooks that your competitors/peers are using and then use them. To analyze ads of the product you want to promote – you need access to them. So how do you see them if they don’t target you. You can’t access their ‘Ads Manager’ – not unless you know them personally. There’s an easy way. Simply visit all their landing pages. Fill out your email address if it’s an Opt-In form. If they’re doing any sort of retargeting (which most serious companies do nowadays) – you should start seeing their ads in Facebook and other websites you visit. And when you see them – if it makes you stop – take a mental/physical note of that ad. While it’s perfectly fine to run with the copy that’s already proven to work – I do recommend adding your own twist because you want your new subscribers to REMEMBER you. Otherwise, there’s no point building that email list. When you sign up for an affiliate program – in most cases you will get access to email swipes, banners, and other creatives that can help you figure out a nice hook. Again – twist that hook. Purple Mattress – I recently came across their ad on Facebook and the hook is brilliant. They prove their mattress is amazing by placing eggs on it and then sitting down on it – or by sandwiching the eggs between a large sheet of glass and their mattress. Yeah – I drew out Inbox Blueprint’s 5-Step system on a paper napkin and we’ll be using that as a hook in our copy. 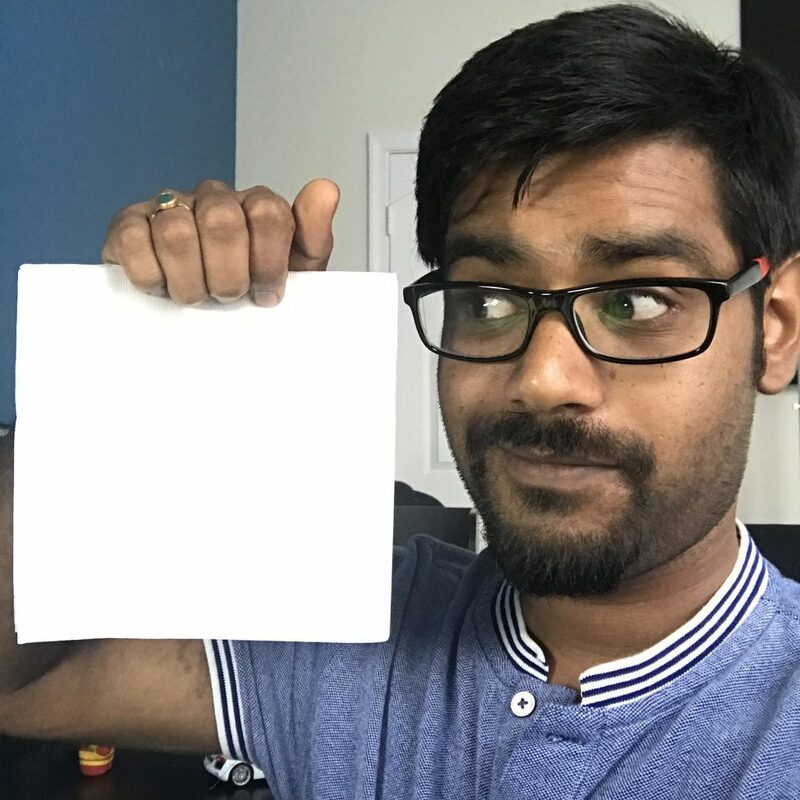 Here’s a snap of me with the napkin – that we’ll be using as a creative for our opt-in page and maybe even Ad copy. I recommend you check out Anik Singal’s Copywriting Academy to polish your Copywriting skills. It’s a skill that every single business person must have.